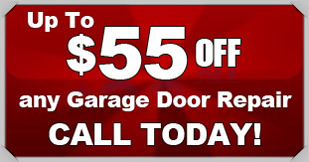 Over the last 30 years, Action Garage Door has delivered top quality service to more than 400,000 Texans. Whether you need extensive or minor Shavano Park garage door repair, our professionals will work hard to ensure your total satisfaction. We are proud to have earned the trust and business of thousands of people across the region over the last three decades, and we look forward to the opportunity to earn yours as well. Since 1984, our family-owned company has been committed to operating with the highest levels of integrity, honesty and quality. When you choose Action Garage Door, you can count on us to get the job done right the first time, to work in strict compliance with all local codes and to use products built to withstand the toughest weather conditions. The experts at Action Garage Door have the skills, experience and tools necessary to offer a wide range of Shavano Park garage door repair services. We can provide basic maintenance services, fix defective rollers, secure a loose cable, realign an off-track door, and much more. In addition to hiring only the most skilled and experienced technicians, we thoroughly screen all of our professionals, so you can be completely confident in inviting our team to your residential or commercial property. Along with providing top-notch repair services, the experts at Action Garage Door can help you choose and install the perfect new garage door for your Shavano Park home or business. With a broad selection of durable, stylish models from the highest quality manufacturers, we guarantee that you’ll end up with a new door that complements your residential or commercial property, reliably protects your car and belongings, and will last for many years. When you choose Action Garage Door for your garage door repair or installation in Shavano Park, you can do so with complete confidence. Our experts will work efficiently and carefully to take care of every detail and leave you with a reliable, fully functional repaired or new garage door. Contact us online or give us a call whenever you are looking for repair.